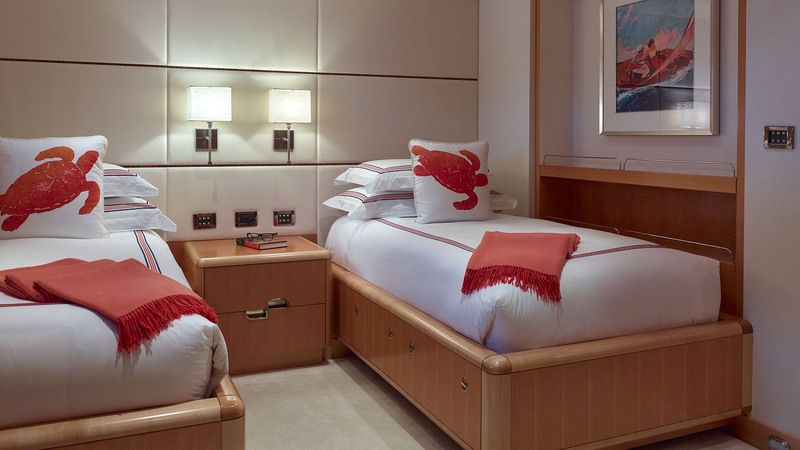 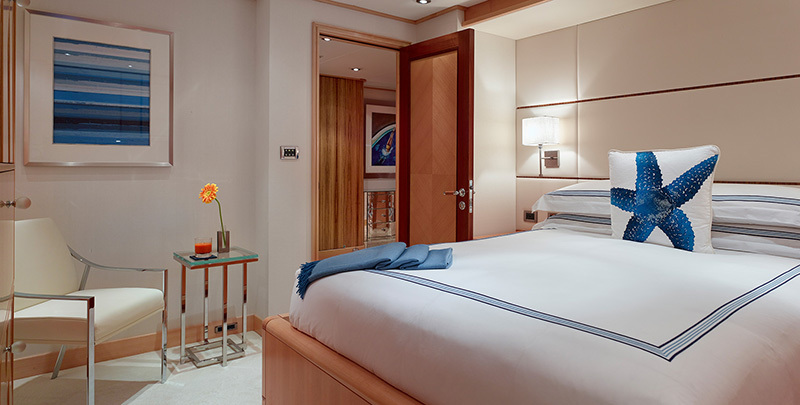 Lower Deck Starboard Guest Room: The meticulous attention to detail continues through each guest stateroom, which features embroidered Italian linens, leather paneling and sumptuous carpeting. Lower Deck Twin Guest Room: The twin guest room to starboard offers the full complement of entertainment and amenities, while providing plenty of space for children or single guests. 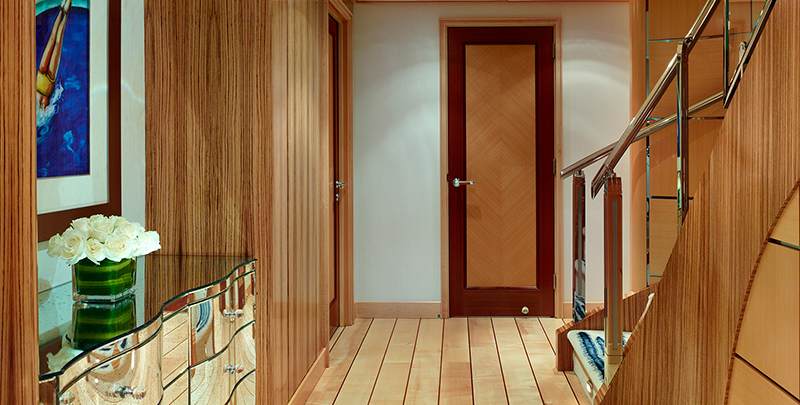 Lower Deck Foyer: Accessed via the elevator or main stairs, the lower deck foyer opens onto two queen-size staterooms and two twin staterooms. 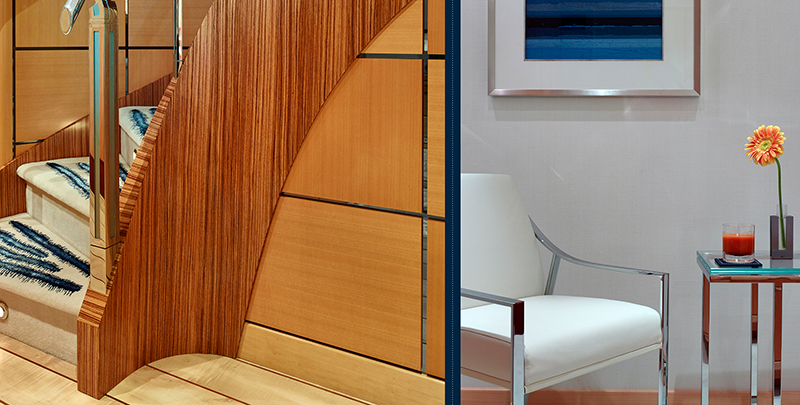 THE DETAILS: Traditional wood finishes blend seamlessly with contemporary shapes and detailing. 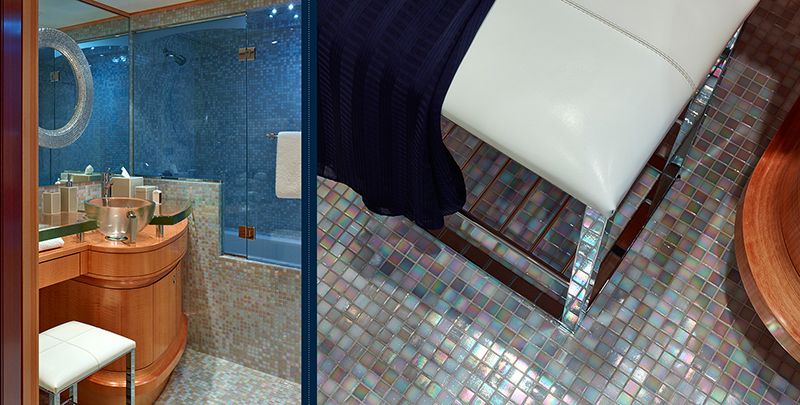 Lower Deck Guest Baths: Each en suite guest bathroom features beautiful custom slump glass countertops with iridescent tiles. 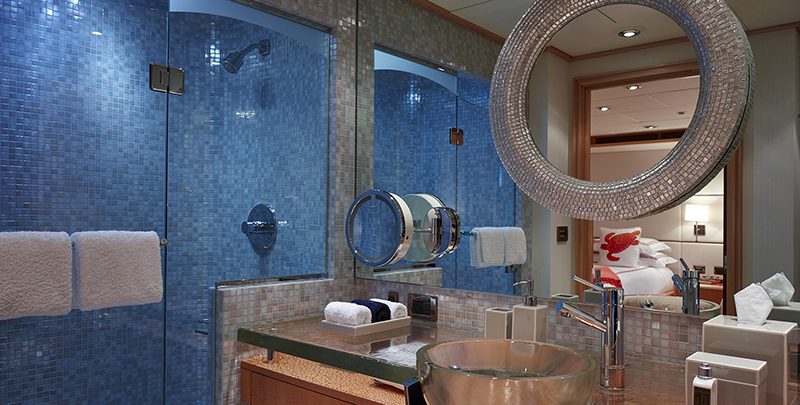 Lower Deck Guest Baths: Exquisite iridescent tiling lines the walls and flooring of the guest baths.